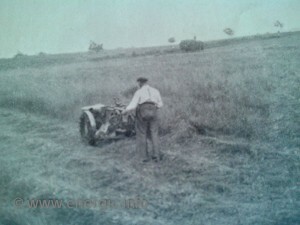 All in done by 1 machine. The Energic motoculteur B5, C7 and D9 – versatility. 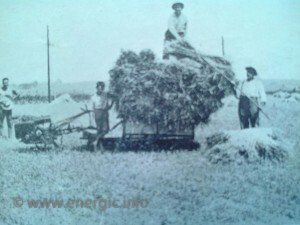 Bringing in the harvest Energic style 1930’s. In the photos you can make out (from top left clockwise) C7 B4L, S bloc C7, C7 B4L x2 and a B5 Energic. 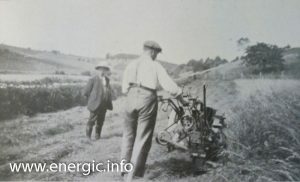 Energic motoculteurs had many uses, harvesting was more traditional than most. 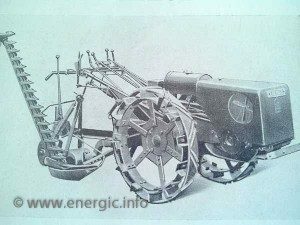 The Energic motoculteurs C7 and D9 where especially adapted for this use, as with more power and flexible equipment this single machine was capable, at a cheap price, to mechanically complete the labor tasks at the small farm. 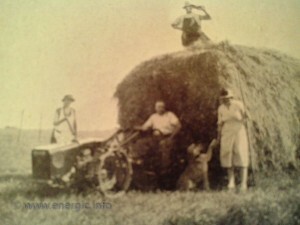 Energic motoculteur at its best with Fauchage adaption. 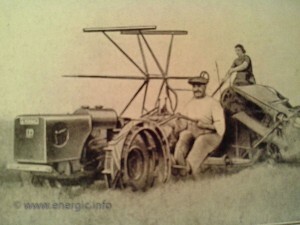 Read more about the Energic motoculteur B1 here. 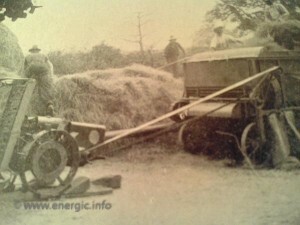 Read more about the Energic motoculteur G9 here.